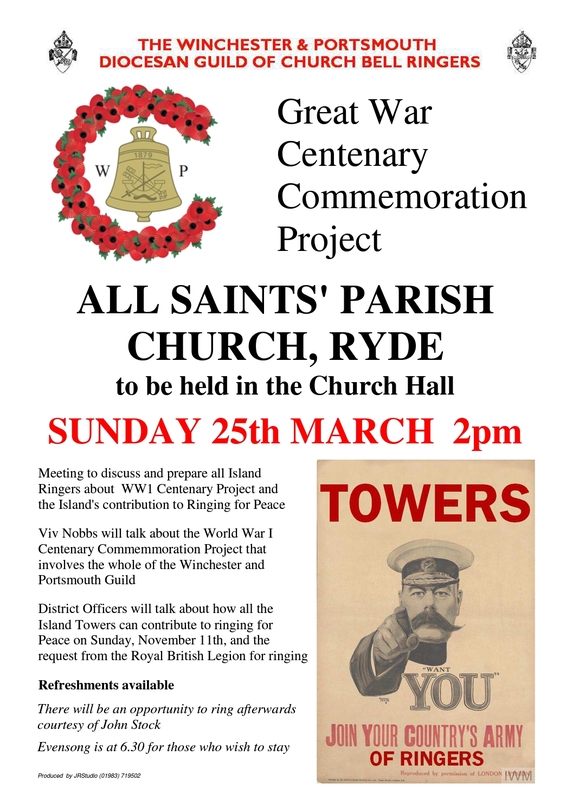 Ryde are hosting a meeting on Sunday, 25th March, in All Saints’ Church hall at 2pm to discuss the Guild’s and Central Council’s approach to how we go about marking the Centenary of Armistice of the Great War on Sunday, 11th November, particularly here on the Island as we have no other areas to easily call on for help in organising events at towers. Refreshments will be available. Any comments or queries please contact Viv Nobbs, you know where she lurks!